Devon, Pa. – Oct. 4, 2017 – Canadian Grand Prix rider Diane Creech and her daughter, Vanessa Creech-Terauds, had a whirlwind summer training and competing throughout Europe on multiple horses owned by Leatherdale Farms. The experience helped them raise the bar in the ring, which paid off over the weekend with impressive wins at the prestigious Dressage at Devon in Pennsylvania. On Friday, Sept. 29, Diane Creech claimed the CDI-W Grand Prix with a 70.92 percent aboard Chrevis Christo, a 14-year-old Danish Warmblood gelding (Chrevis Cavallo-Chrevis La VI, Matador). 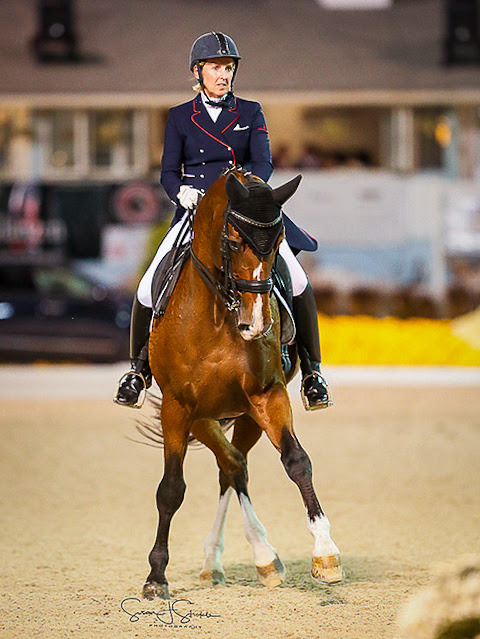 The win was special for Creech as she had competed at her first Dressage at Devon 10 years ago and came home then with a Grand Prix and Grand Prix Special win with Leatherdale Farms’ Wiona. Diane Creech and Chrevis Christo. Photo by Sue Stickle. The pair returned to the Dixon Oval on Saturday evening to earn a 73.15 percent and finish second in the Grand Prix Freestyle. Vanessa Creech-Terauds and Fleur de Lis L. Photo by Stacy Lynne Photography. Her 17-year-old daughter, Vanessa Creech-Terauds, also picked up wins during her first time competing at Devon. Though it is her first season competing the 8-year-old Hanoverian mare Fleur de Lis L (First Dance-EM De La Rosa, De Niro) in Young Rider tests Creech-Terauds swept the CDI division. The successful duo won the Team Test with a 68.289 percent, the Individual Test with a 66.816 percent and the Freestyle with a 72.35 percent. 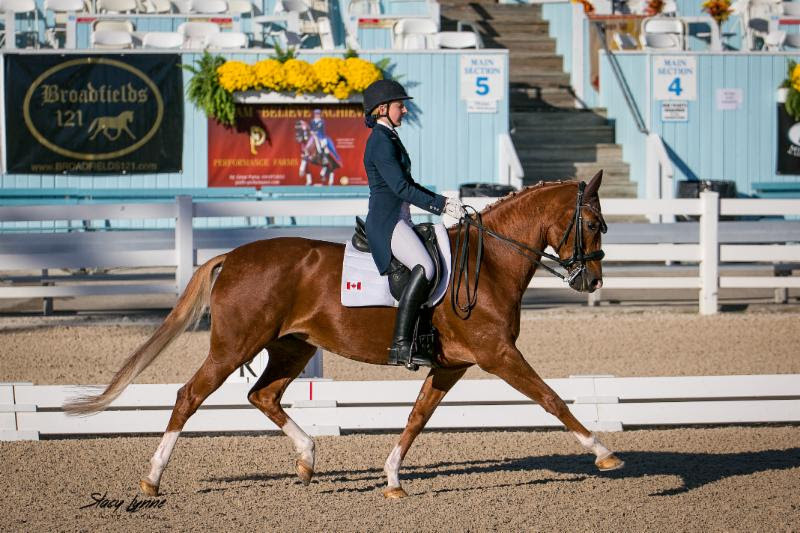 Creech-Terauds has also been gaining experience in the U25 Grand Prix division with Devon L (De Niro-EM Wibranda, Wolkenstein II), a 17-year-old Hanoverian gelding. The gelding has had a successful Grand Prix career with Creech and during the winter season in Wellington transitioned to teaching Creech-Terauds the Grand Prix ropes. The pair earned solid scores in Pennsylvania and kept improving as the weekend went on with a 63.632 percent in the Intermediate II, a 67.884 percent in the U25 Grand Prix and concluded the show with a 68.775 percent in the Freestyle. Vanessa Creech-Terauds and Devon L. Photo by Sue Stickle.